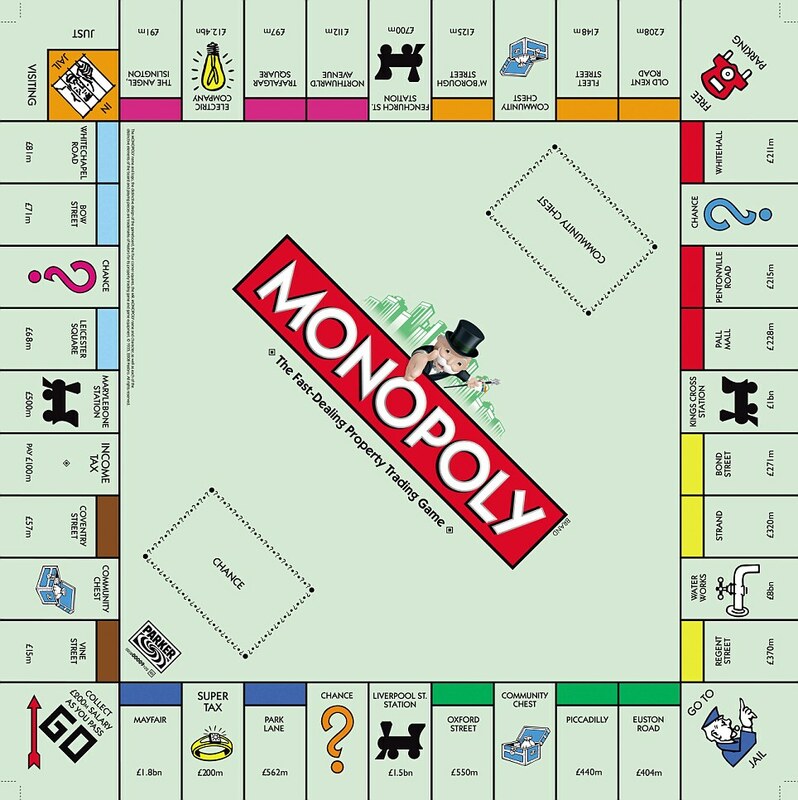 Every single household in the world has a set of Monopoly. Every family’s house, every single person’s apartment, every college dorm, every cabin, every teepee, every igloo… virtually every single dwelling imaginable has at least one a set of Monopoly. Everyone has the regular classic version or a themed version. I have 2 sets of Monopoly in my apartment. One regular set and one with a Planet Earth theme. We have never played either one and they are both still unopened. I think they came with the house. And even though we never play it and never plan on it, every couple of months someone will suggest a game night, and Monopoly is always the first suggestion and the first rejection. Nobody has time for a complete game of Monopoly. I think the first game is still being played somewhere. The only way to win the game is to cheat, and the best way to cheat is to be the banker. And nothing destroys relationships faster than a corrupt game of Monopoly. This is funny, the BF and I just pulled out my game of monopoly last friday night and got through about 1 hour of it before giving up.. It was the thought that counted for us.